Jayce Lewis is premiering his new video for Shields exclusively with TeamRock. The song is taken from his upcoming album, due for release on October 27. 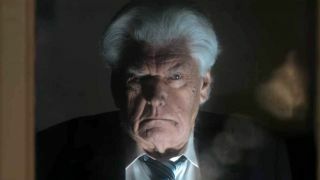 The video stars Metal Hammer Golden God winner David Prowse (aka Darth Vader) in his final ever on-screen role. “Me and Jayce have been planning to work together in a music video for years,” Prowse tells Metal Hammer, “and finally he did one that I made sense for me.